If you are looking for the ideal television set to complement your living area it is worth checking out what is being said about specific sets on the market, as this useful information could help you find the set that is suitable for your needs. Two of the biggest brands in LED TVs are certainly Samsung and LG, so today we wanted to highlight a few discussions and reviews of Samsung vs. LG LED TV quality. In a discussion taking part in India seen on the Yahoo answers website both the Samsung and the LG TV are debated as owners comment about the quality of these products. While some potential consumers go online to get opinions about which TV sets suit them, others give their overall thoughts and highlight specific models that have impressed. When asking which is better the Samsung UE42F5570 or the LG 42LN5758 some suggest that both sets are decent additions to the world of televisions, but when it comes to quality recommendation also come in the form of the Emerson or Vizio TVs. While many acknowledge the quality of both Samsung and LG products, specific features could be the selling point for some and one consumer explains how their 55 inch LG LED has brilliant video results and features to boot. Others give us the impression that Samsung TVs generally have a better media player and overall image, although the Smart TV functions are just regarded as acceptable. In addition, an article on Digital Trends questions which HDTV make and model would be ideal for your living room highlighting not only Samsung and LG, but also Panasonic, Sony and Toshiba. They mention how those asking which is best may find that their queries can be quite broad and that it is hard to pinpoint the best, especially as consumers may have specific requirements. This is where they feel the need to explain the features on different models and review them accordingly. The fact that they start off by looking at Samsung and LG sets gives us reason to believe the two South Korean TV manufacturers are in direct competition and are both at the top of their game. For a detailed look at LED TVs and the technology review, HDTV Test looks at a number of different models on the market and rates them in their reviews. This extensive outlook gives readers a decent perspective on all the features involved while running through other specifics that could be ideal for the individual’s needs. Personally, I have had Samsung sets for a number of years, but I recently acquired a 44-inch LG that I am extremely happy with. It’s hard to give a recommendation of which I prefer as far as quality is concerned because the LG is a larger upgrade from the 32-inch Samsung that I had before. 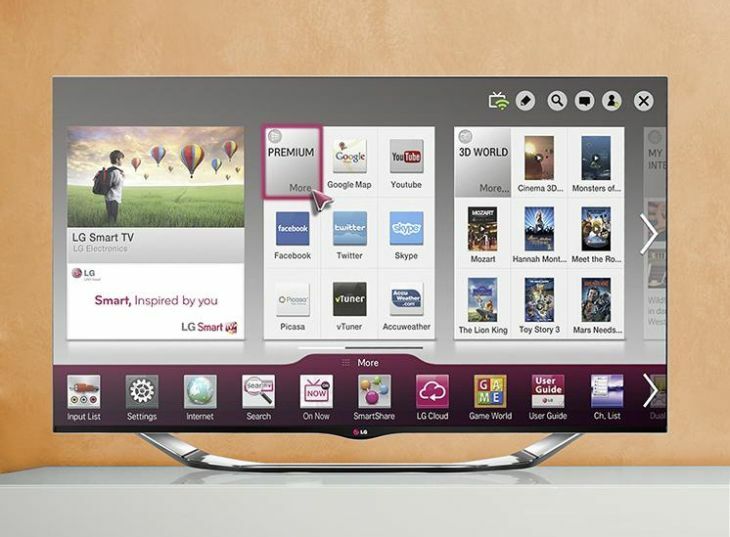 Do you currently own an LG or Samsung TV? If so we would love to know your thoughts on either, so let us know your impressions in the comments section below.